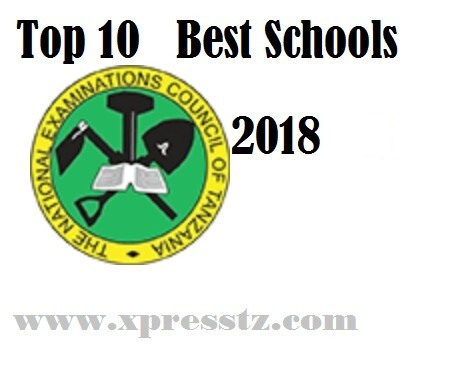 The National Examination Council (Necta) has released Advanced Certificate of Secondary Education Examination (ACSEE) form six exam results in Zanzibar on Friday. Necta’s Executive secretary Charles Msonde said in a press conference that a total of 87, 571 candidates were registered to sit for the exam including 35, 380 (40.40 per cent) girls and 52, 191 (59.60 per cent) boys. The following are the National Top Ten Schools as announced by NECTA. 1. Kibaha Secondary School (Coast), 121 candidates. 2. Kisimiri Secondary School (Arusha), 68 candidates. 3. Kaizirege English Primary School (KEMEBOS) (Kagera), 32 candidates. 4. Mzumbe High School (Morogoro), 121 candidates. 5. Feza Boys Secondary School (Dar es Salaam), 93 candidates. 6. Marian Boys High School (Coast), 78 candidates. 7. Ahmes Secondary School (Coast), 76 candidates. 8. St.Mary's Mazinde Juu Secondary School (Tanga), 189 candidates. 9. Marian Girls High School (Coast), 71 candidates. 10. Feza Girls Secondary School (Dar es Salaam), 75 candidates.